As we have seen previously, amino acids vary in their propensity to be found in alpha helices, beta strands, or reverse turns (beta bends, beta turns). These difference can be rationalized from the structure of each amino acid, as described before. From the data bases, propensities can be calculated to determine the likelihood that a given amino acid will be in one of those structures. Glycine for example would have a high propensity to be in reverse turns, while Pro, a helix breaker, would have a low propensity to be in an alpha helix. A number is assigned to each amino acid for each category of secondary structure. High numbers favor the likelihood that that amino acid would be in that structure. One of the earliest propensity scales was from Chou-Fasman, where H indicates high propensity for secondary structure, h intermediate propensity, i is inhibitory, b is a intermediate breaker, and B is a significant breaker of secondary structure. Next a stretch or "window" of amino acids about 7 amino acids is taken, starting from the N-terminal of the protein. First the average alpha helical propensities for amino acids 1-7 are determined and assigned, let's say, to the middle (4th) amino acid in that sequence. Then alpha helical propensities for amino acids 2-8 (the next window) are averaged and assigned to the middle (5) amino acid in that range. The window slide down the protein sequence until all but the first and last few amino acids have an average value assigned to them. If a contiguous stretch of amino acids has high average propensity, they are probably in an alpha helix in the native protein. This process is repeated using beta strand and reverse turn propensities. The final assignments of most probably secondary structure are made. Of course this system was tested against proteins whose tertiary structure was known. See the results for secondary structure prediction for one protein. In this example, the average propensity for four contiguous amino acids is calculated (starting with amino acids 1-4, then amino acids 5-8, etc, and continuing to the end of the polypeptide). Next this process is repeated for contiguous stretches 2-5, 6-9, etc, and continuing to the end. The original Chou Fasman propensities have been updated using known protein structure to give better predictions. Additional information about putative helices can be obtained by determining if they are amphiphilic (one side of the helix containing mostly hydrophobic side chains, with the opposite side containing polar or charged side chains. A helical wheel projection can be made. In this a circle is draw representing a downward cross-sectional view of the helix axis. The side chains are placed on the outside of the circle, staggered in a fashion determined by the fact that there are 3.6 amino acids per turn of the helix. If one side of the wheel contains predominantly nonpolar side chains while the other side has polar side chains, the helix is amphiphilic. Imagine how such helices might be packed in a protein. For a water-soluble protein, a continuous stretch of amino acids found to have a high average hydropathy is probably buried in the interior of the protein. Consider the example of bovine a-chymotrypsinogen, a 245 amino acid protein, whose sequence is shown below in single letter code. A hydrophathy plot for chymotrypsinogen (sum of hydropathies of seven consecutive residues) shows many stretches that are presumably buried in the interior of the protein. We are getting closer to predicting the tertiary structure of a protein, but as we have seen from molecular mechanics and dynamics calculations, it is a huge computational task. There are two basic approaches which are often combined. calculations using energy minimization and statistical mechanics: These "semi-empirical" techniques don't assume any given secondary structure propensities or hydrophobicities. Such methods have produced limited success with small proteins whose actual structure is known. homology modeling based on proteins of known structure: The structures of about 117,00 (3/16) different biological macromolecules are known. This can serve as an empirical data base of possible conformations. Instead of an infinite number of prototypical structures, it is becoming clear that there may be a reasonably low number (in the hundreds) of basic structural motifs that are used over and over in nature. By aligning the amino acid sequences of different proteins, and comparing their properties (such as secondary structure propensities, hydrophobicities, etc. ), probable low energy structures of the new protein can be determined. This initial structure can be run through multiple minimization and dynamic simulations to produce a tentative "lowest" energy structure. The structure should be compact (checked through calculation of packing density) and experimental techniques (such as spectroscopic methods) should be employed to validate the structure. Many mechanisms of the actual folding process have been postulated, most of which have some experimental support. In one, a hydrophobic collapse of the protein produces a seed structure upon which secondary structure and final tertiary collapse results. Alternatively, initial formation of an alpha helix might serve as the seed structure. A combination of the two is likely. In one scenario, two small amphiphilic helices might form which interact through their nonpolar faces to produce the initial seed structure. Many studies have been done on a domain of the protein villin. A company at Stanford University (Folding at Home) actually allows you to process protein folding data on your own computer when you're not using it (an example of distributed computing). The example below shows one simulation of length greater than 1 ms. In the simulation, it collapses to a near native-like state then unfolds again as it iteratively probes conformational space as it "seeks" the global energy minimum. Zhou and Karplus simulated the folding of residues 10-55 of Staphylococcus aureus protein A which form a 3-helix bundle structure. Using molecular dynamics, they carried out 100 folding simulations. Two types of folding trajectories were noted. In the first type, helices form early (70% within 10 ns), but the fraction of native interhelical contacts (indicating proper packing of the helices together) and the overall packing density are not similar to the native state. Then the helices diffuse and collide with each (in the rate-limiting step) until the native state is reached at about 19 ms. In this model, non-obligatory intermediates can occur (due to collapse to non-native interhelical packing in the rate-limiting step) which could slow down folding. In another type, there is a simultaneous and quick partial helix formation and collapse (90% at 200 ns), to a state which is similar to the molten globule. At this point, only about 20% of the native contacts are present. The final tertiary structure is achieved after a slow process of forming native contacts within the compact state, which takes about 500 ms. The Fersht lab has been combining experimental and theoretical approaches to the folding/unfolding of another three helix bundle protein, Engrailed homeodomain. This protein is among the fastest folding and unfolding proteins known (ms time scale). This time frame is now also amenable to study through molecular dynamics simulations. Both sets of data support a folding pathway in which the unfolded state (U) collapses in a microsecond to an intermediate state (I) characterized by significant native secondary structure and mobile side chains that is less compact than the native state (N). The I state hence resembles the molten globule state. To more clearly understand the unfolded state, they generated a mutant (Leu16Ala) which was only marginally stable at room temperature (2.5 kcal/mol). Spectroscopic measurements (CD, NMR) showed this state to resemble the intermediate (I) state, with much native secondary structure and a 33% greater radius of gyration than the N state. In effect they could study the transient intermediate of the wild type protein more easily by making that state more stable through mutagenesis. These studies showed that the intermediate is on the folding pathway and not inhibitory to the process. Using molecular dynamic simulations, the intermediate to native state transition was shown to proceed via a transition state (TS) in which the native secondary structure is almost all present and the helices are engaged in the final packing process. (< 85 amino acids). They describe the two biggest stumbling blocks to such predictions as the huge number of conformations which must be explored (i.e. all of conformational space) and accurate determination of the energy of the solvated structures. Searching conformational space is difficult since the energy landscape around the global energy minimum can be very steep and sharp, since modest side chain displacements arising from subtle main chain movements cause significant side chain packing and energy changes. The narrowness of the energy well makes it difficult to find the global minimum in stochastic conformational search processes. Energy calculations also require better (more realistic) energy functions (force fields) which show the native state to be clearly differentiated as the global minimum from the denatured (non-native) states. They conducted energy calculations on many different small proteins and produced for each protein a low resolution model. To reach this low resolution model for a given protein, they found many sequence homologs of the given target protein. These homologs were naturally occurring sequence variants found by a relatively conservative BLAST sequence search, with sequence identities of 30-60 percent. They also contained insertions and deletions compared to the target sequence, which probably are involved in surface loop structures. The target and homolog sequences were folded, generating a more diverse population of low-resolution models as starting points for all-atom refinement of the structure. Then, using a new force field that stressed short range interactions (van der Waals, H-bonding), which would expected to be more important for final folding of the low resolution models than long range electrostatic forces), they were able to refine the models and condense to a final low energy that was very close in main and side chain packing to the experimental crystal structure (resolution < 1. angstroms). The holy grail in protein folding research has always been to predict the tertiary structure of a protein given its primary sequence. A similar but conceptually easier problem is to design a protein which will fold to a given structure with predicted secondary structure. Many possible sequences could be designed to fold to the desired structure, which makes this problem easier compared to the folding of a given sequence to just one native state. Kuhlman et al. have recently accomplished such a feat for a synthetic protein of 93 amino acids which they designed to fold to a unique topology not yet observed in nature. This represents a significant advance over earlier attempts in which mimics of known proteins were made. Such structures would be expected to fold in analogous fashions to the parent protein because of the necessary constraints placed by the need to fold to a compact state. Several web sites exist that allow users to download protein folding software onto their own PC. By distributing folding calculations to many home PC, their untapped computational power can be linked to provide the vast computational time needed to perform these calculations. You will study a signal transduction protein and their interaction domains using a variety of web-based proteomics programs. For most of these programs you will need to input the amino acid sequence in FASTA format. Select a PDB code for a protein from the table at the end of this section. You could also use these programs to study any protein in the PDB. 1. First go to the PDB. Input the name of your protein (which has an interaction domain) in the search box. Limit the search to homo sapiens. Pick from the list of protein structure files the most appropriate one. The example below is for the 2YYN pdb code. 2. Select the Download Files dropdown and save the FASTA sequence to your home directory. Download the file as a Wordpad. You might have to remove recurring sections that don’t correspond to the single letter amino acid sequence or identical sequences if the structure consists of identical subunits To see if that might be the case, select JSmol (see figure above), rotate the structure with your mouse to see if there are multiple chains, and hover the mouse over the chains to see how the amino acids in that chain are labeled. You might see [TRP]33A: for example, where A indicates a separate A chain. Move to other chains. Then go to the Wordpad version of the FASTA sequences. You can examine the chains to see if the chains are identical. If so delete all but the first. See the above FASTA link for help. Use the following programs to gain information about your protein. Snip (with snipping tool for example) and paste a bit of relevant info from each program (using Snipping Tool) into this DOCX file and save it into the folder and upload it into Sharepoint. Name the file Lastname_LastName_FirstInitial_WebInteraction. If you have any problem with any of the programs (lots of error messages), skip that particular program. Several of them do the same type of analyzes. Compare the result. Snip and paste sufficient content to show that you complete the question. Write answers when asked to interpret the output. a. Sequence Manipulation Suite: Determine the molecular weight of the protein. b. Eukaryotic Linear Motif: Linear motifs are short, evolutionarily intrinsically disordered section of regulatory proteins and provide low-affinity interaction interfaces. These compact modules play central roles in mediating every aspect of the regulatory functionality of the cell. They are particularly prominent in mediating cell signaling, controlling protein turnover and directing protein localization. The Eukaryotic Linear Motif (ELM) provides the biological community with a comprehensive database of known experimentally validated motifs, and an exploratory tool to discover putative linear motifs in user-submitted protein sequences. Snip and paste the top of the output that shows the IUPRED showing the disorder/order graph. c. TargetP 1.1 : predicts the subcellular location of eukaryotic protein. Snip and paste the results. Interpret them based on this link. Where is your protein likely found? d. NET-NES 1.1 Server:: predicts leucine-rich nuclear export signals (NES) in eukaryotic protein This link will help you explain the output. Does yours? e. NLSdb -- Database of nuclear localization signals: Search for information on nuclear localization signals (NLSs) and nuclear proteins. Select Query. Input the PDB code and select NL. Does yours? g. TMPRED: The TMpred program makes a prediction of membrane-spanning regions and their orientation. The algorithm is based on the statistical analysis of TMbase, a database of naturally occurring transmembrane proteins. The prediction is made using a combination of several weight-matrices for scoring. Paste in your FASTA sequence but remove the header before running. Does it have a transmembrane helix? Save the first graph (PNG graphic file) of the output, open it with Adobe Photoshop, and paste the image into your report. Does the graph show alternating hydrophobic (+ values)/hydrophilic (- values) sections consistent with transmembrane helices (for example you would expect to see 7 hydrophobic stretches for GPCR)? i. PFAM – multiple analyses of Protein FAMilies. This program looks at the domain organization of a protein sequence. Input the pdb code. When finished, select “sequences” in the list below. Then select the human sequence. Snip the resulting diagram and legend showing the domain structure of the protein. You can also click on each domain in the diagram to get more info on the domain. Does the protein have the domain suggested in the beginning table? k. eFindSite: is a ligand binding site prediction and virtual screening algorithm that detects common ligand binding sites. Put in the PDB code and then the pdb file you downloaded. m. NCBI Standard Protein BLAST: Input the FASTA file. The output shows the domain and domain superfamily followed by other protein sequences nearly identical to your protein. The results are graphical followed by descriptive. Snip domain structure with the closest aligned sequences. Then select under PDB structures the pdb code (example below 1xww). Then select the UniProtKB accession number. Confirm the many of the predictions you made above. n. Predict Protein Open: Physiochemical properties of your protein. You will have to provide your email address. When complete you can access much of what you learned above by the links to the left under the Dashboard. It is important to be able to visualize the binding interactions between the targeted domain and the ligand (small molecule, PTM modified protein, protein or DNA). Here are some programs that allow that. Note: which programa you select will depend on if your protein is bound to a small ligand or to another protein or other macromolecule, in which case you need to explore protein interaction interfaces. a. Ligand Explorer is a Java-based program. It probably will NOT work on a Mac running Safari. You will need the latest version of Java to run it. Try the various computer labs around campus as well. Go to the PDB page for your protein. After you input the pdb code, scroll down to Small Molecules section in the middle of the displayed page for that complex. There are links for both 2D and 3D visualization of the interactions. . Select the 2D plot showing the interactions. 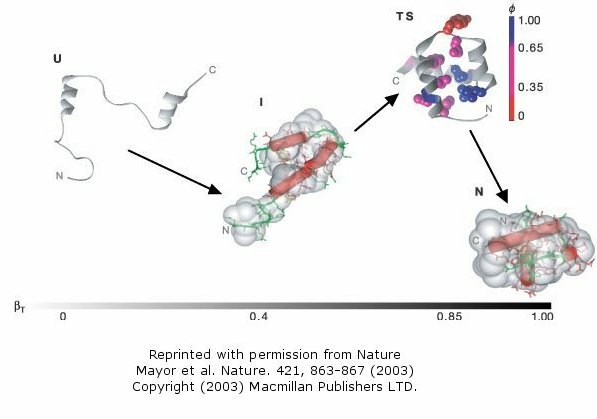 The select Jsmol to see the ligand with a binding surface) interacting with contact residues in the protein. You can select a white background and toggle on and off H bonds. SNIP and PASTE. 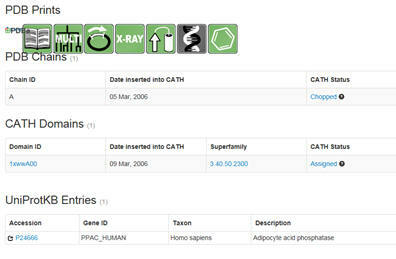 Now select Ligand Explorer for a more detailed view. Make sure to select the correct ligand (see table below). You may be prompted to allow pop-ups form the site. If so, allow it. You may have to reselect Ligand Explorer again to start the program. Keep giving permissions and following prompts until Ligand Explorer is open. Once launched, select open this link in a new tab or window and instructions will open in a browser. Use the mouse to help find the best view of the interactions. Select in turn hydrogen bond, hydrophobic, bridged H bond (mediated by a water molecule) and metal interaction (shown on the left hand side. Select Label Interactions by Distance. Take a cropped screenshot of each interaction (see instructions below). b. Protein-Ligand Interaction Profilers: Input the name of your PDB file. After the run is complete, select SMALL MOLECULE and then the appropriate ligand. You will get a 2D representation you can snip and paste. Then select Pymol 3D view (first 5 computers in ASC 135). You will see an interactive rendering of a small bound ligand and the protein residues it contacts in the complex. You can get a free student download of Pymol for your own computer. Snip and Paste relevant info. You will study protein:protein interactions between a Src domain and small phospho-Tyr peptide using InterProSurf and COCOMAPS. a. InterProSurf: Reports numbers of surface and buried atoms for each chain, and areas for each residue deemed to be in the interface. Select PDB Complex in the top menu tabs and input your pdb file. This gives numerical data only. Snip and Paste relevant info. b. COCOMAPS: analyzes and visualizes interfaces in biological complexes (such as protein-protein, protein-DNA and protein-RNA complexes). Input the PDB file name and then the chains within the PDB file that you wish to see the interaction surface. Put in the letter for one of the interacting chains you selected into the first input box and the second letter into the second box. Detailed results will appear in graphical and tabular form. A great way to visualize the binding interface is to download the new .pdb and .pml files and open the pdb file in Pymol . Once the PDB file is opened in Pymol, select file -> run -> script_name.pml. Snip and Paste relevant info. You will study a protein, Myelin Regulatory Factor (MYRF), which may be a transcription factor. One way to learn more about the features and likely function of the MYRF protein is to explore the structure of the 1,139 amino acid sequence in silico. You will analyze the protein sequence using a variety of web-based proteomics programs. For most of these programs you will need to input the amino acid sequence in FASTA format. Here is the FASTA amino acid sequence (in single letter amino acid code). Use these programs to gain information about this protein. If you have any problem with any of the programs (lots of error messages), skip that particular program. b. Eukaryotic Linear Motif : Linear motifs are short, evolutionarily plastic components of regulatory proteins and provide low-affinity interaction interfaces. These compact modules play central roles in mediating every aspect of the regulatory functionality of the cell. They are particularly prominent in mediating cell signaling, controlling protein turnover and directing protein localization. Given their importance, our understanding of motifs is surprisingly limited, largely as a result of the difficulty of discovery, both experimentally and computationally. The Eukaryotic Linear Motif (ELM) provides the biological community with a comprehensive database of known experimentally validated motifs, and an exploratory tool to discover putative linear motifs in user-submitted protein sequences. c. PSORT II: programs for prediction of eukaryotic sequence subcellular localization as well as other datasets and resources relevant to cellular localization prediction. After running it, examine the link shown as PSORT features and traditional PSORTII prediction. You might get an error message saying the protein does not begin with an N (Met). Met is the first amino acid encoded from a gene sequence in eukaryotes (using the codon AUG). It is usually removed after or during protein synthesis. Don’t’ worry about it. Either way, the output shows you the number of homologous proteins found and where they are located (cyto, nuc, secreted, etc). Go to the Details link and the protein are listed. The ones on top are most homologous to the MYRF. f. CCTOP - Prediction of transmembrane helices and topology of proteins. Select the advanced tab. This program might not work. In the output under each amino acid you will see I (inside), O (outside), H for transmembrane helical region, and i of indeterminate. i. PFAM – multiple analyses of Protein FAMilies. View a sequence. Look at the domain organization of a protein sequence. Input MRF_Mouse. Click on the various domains discovered based on sequence homology. j. Prosite: input your sequence in the fast scan region. Prosite can determine the likely function of the protein MYRF based on presence of "patterns, motifs, or signatures " in the protein sequences which are characteristic of a specific biological function, such as ligand binding, catalysis, in vivo chemical modification. We will only use it to probe for post-translational modification sites. Select Scan a sequence against PROSITE patterns and profiles, and see possible sites for in vivo chemical modification of the protein. In Prosite Tools uncheck exclude patterns of high probability of occurrence. k. HHPRED will give you homology detection and structure prediction, returning domain information and alignment with other proteins of known function. Select the input link (FASTA format) to input your sequence. n.n. UniProt and input the mouse MYRF sequence (accession number Q3UR85)for a trove of information which you have probably just discovered. Do the in silico analysis support the fact that the protein is a transcription factor?